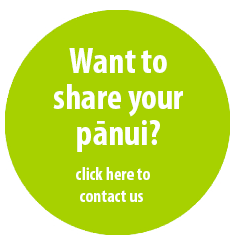 Te Kapu O Waitaha is the Post Treaty Settlement Governance Entity, and manages its’ assets to provide benefit to the Trusts’ registered Waitaha beneficiaries. Since the Trusts’ establishment in 2013. In 2014, it also set up Waitaha Charitable Trust as the subsidiary responsible for the distribution of charitable grants, primarily the Hakaraia Scholarship Education grant. The Board invites expression of interest from those who are an experienced Trustee and or Director to add value to our growth activities by identifying new opportunities and managing asset and investment efforts. The ideal candidate will have proven capabilities in wealth growth strategies, revenue KPI and investment targets. Expressions of Interest must be received by the Board Secretary no later than Friday 11th August 2017, at 12.00 noon. All applications are treated with confidentiality.